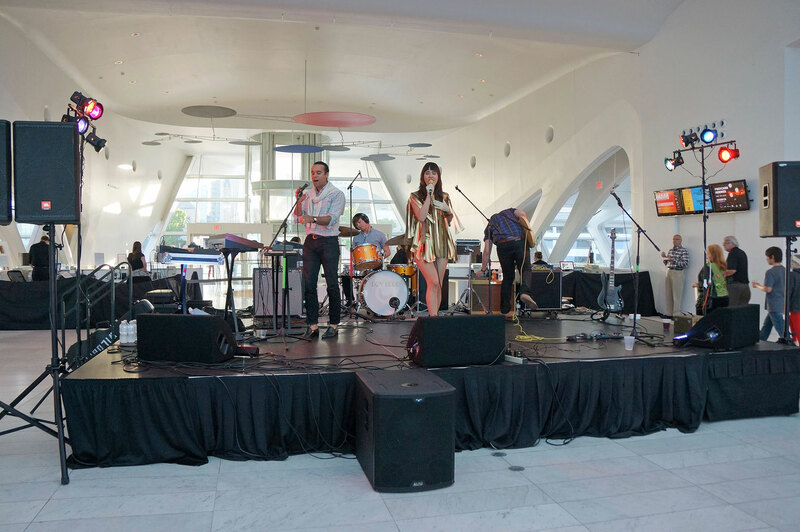 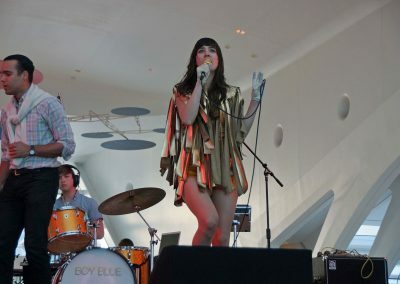 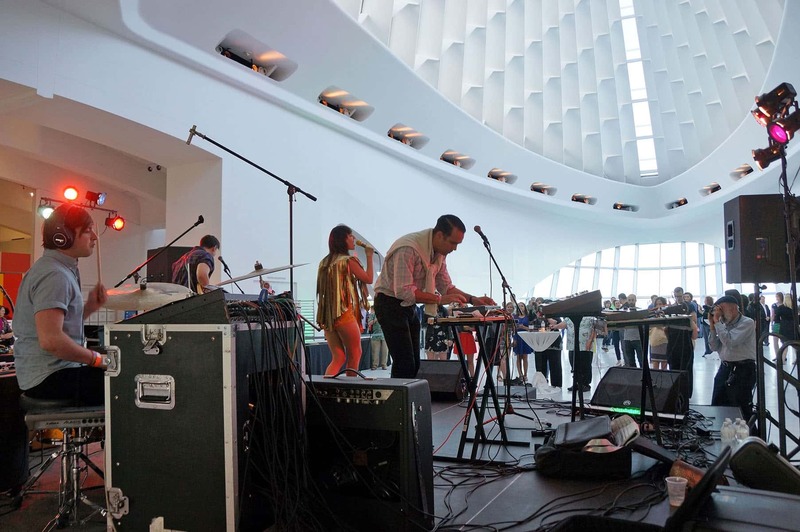 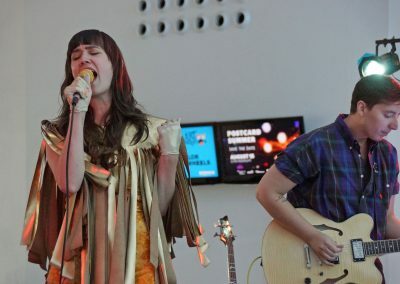 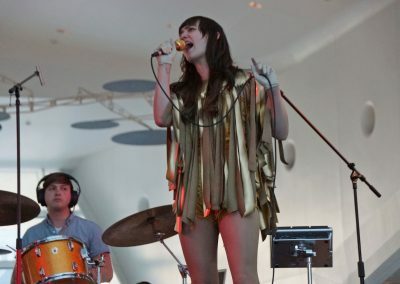 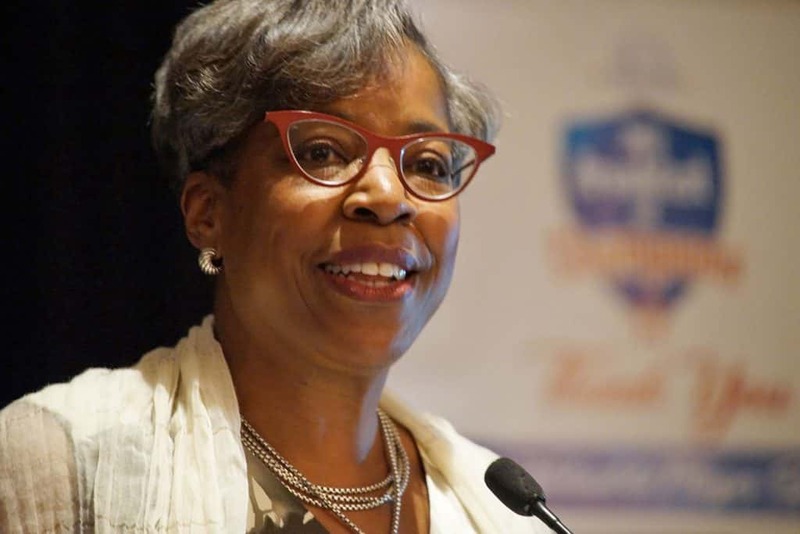 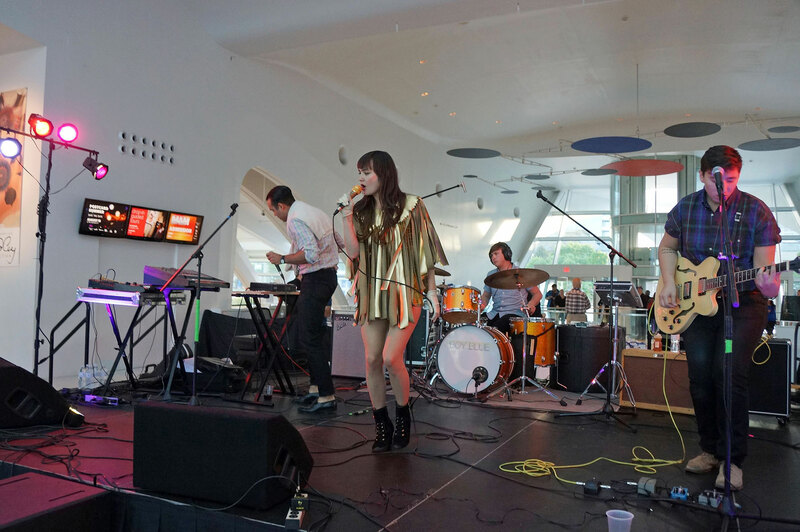 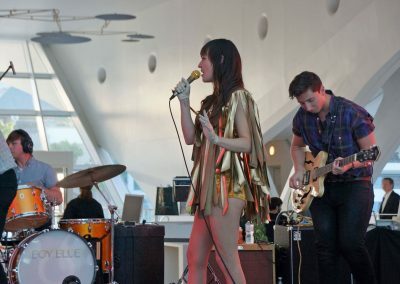 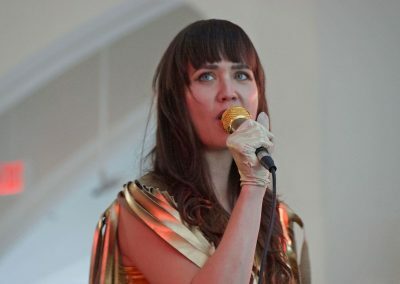 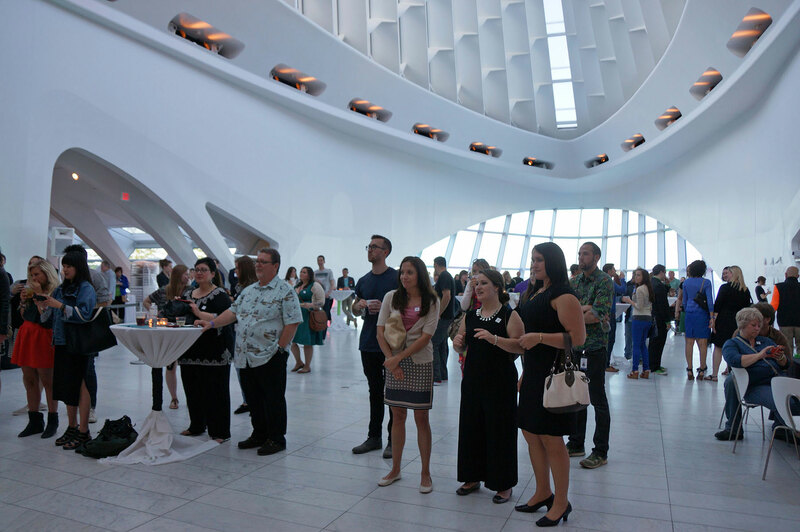 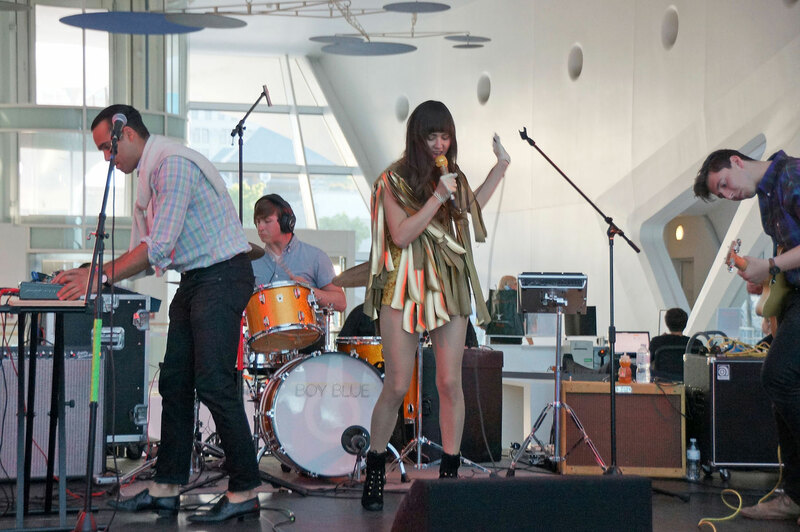 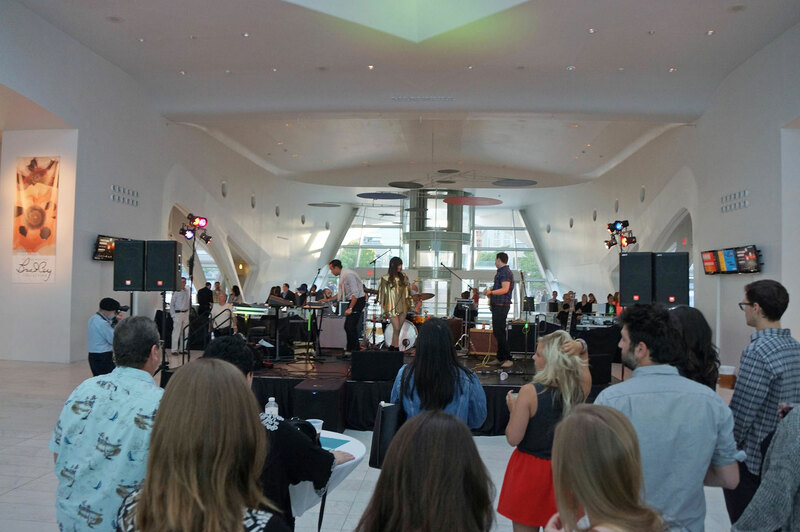 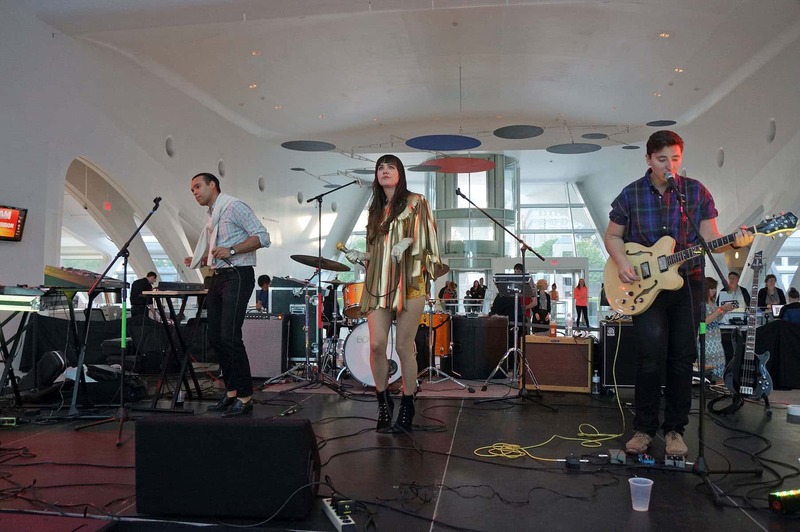 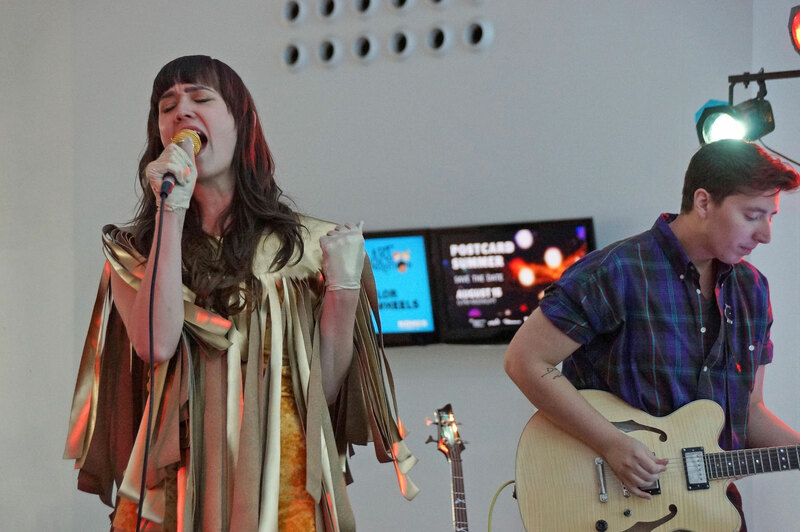 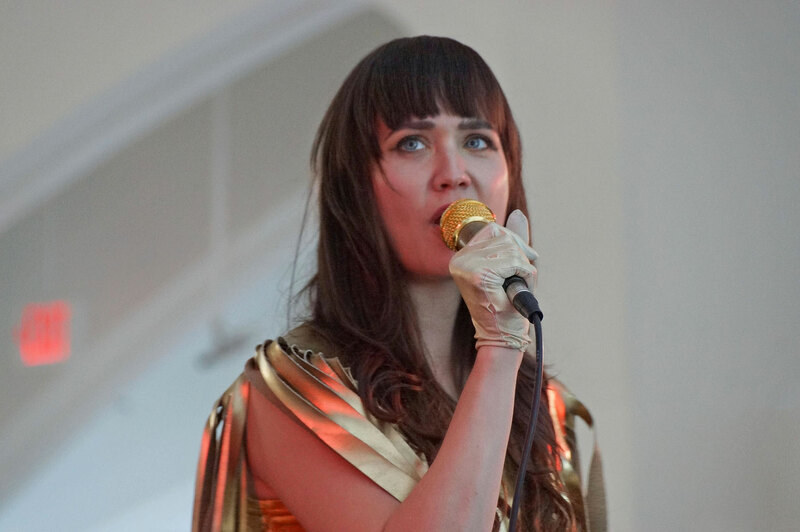 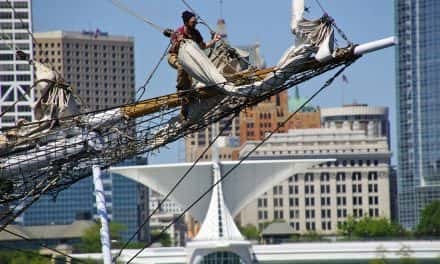 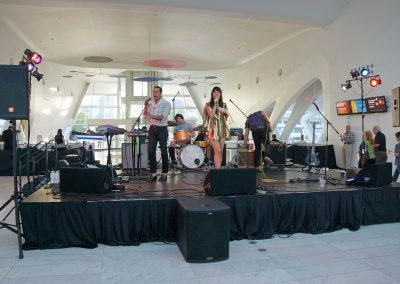 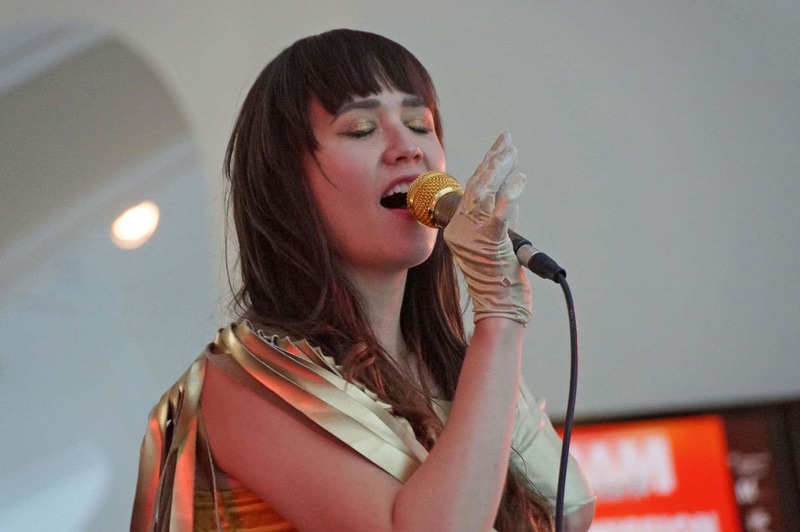 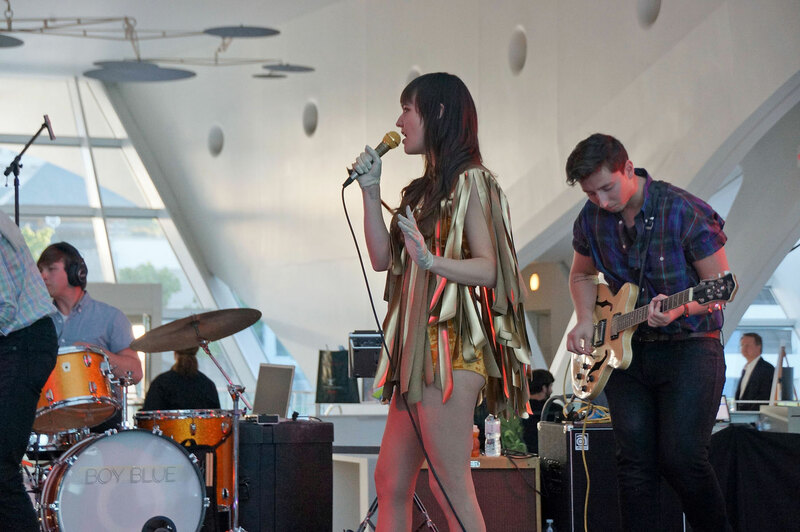 GGOOLLDD’s lead singer Margaret Butler told the Milwaukee Independent that her performance at the Milwaukee Art Museum on June 13, 2014 was the first public show for the band. 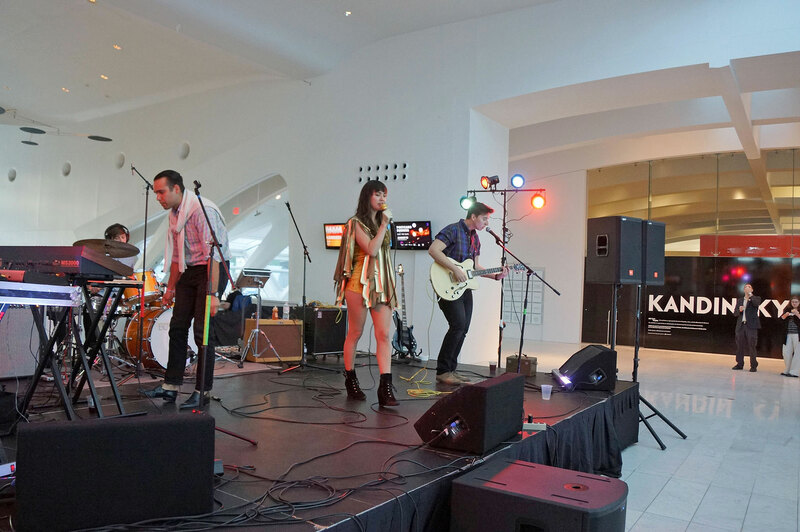 The MAM After Dark: Blue Rider event was held concurrent to the Kandinsky: A Retrospective exhibition, which presented how music, color, and movement shaped one of the most influential artists of the twentieth century. 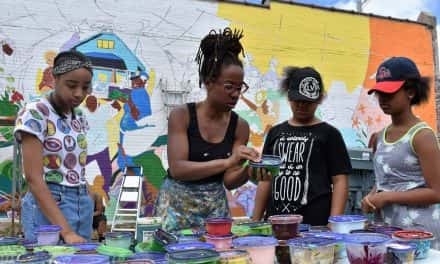 GGOOLLDD was a perfect fit for the evening, playing “their prismatic sounds and vibrant synth-pop beats” to paint the surroundings. 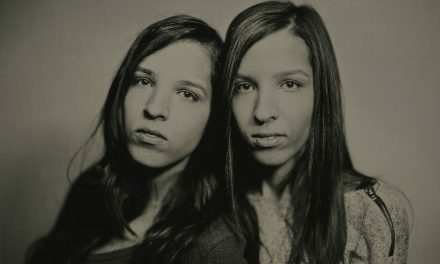 These never-before published photographs show the group’s earliest show, and offer a nostalgic look at their beginning after only a few short years of thrilling audiences across the country.